Homestead Man Hospitalized After Head-On Collision In Boynton Beach | Schuler, Halvorson, Weisser, Zoeller & Overbeck P.A. 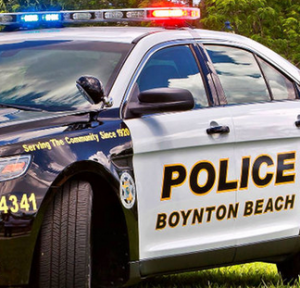 A man from Homestead was hospitalized after a head-on collision at the intersection of West Boynton Beach Boulevard and South Military Trail in Boynton Beach. Emergency services were on scene after a head-on collision on West Boynton Beach Boulevard that sent a Homestead man to the hospital with severe injuries. Officers of the Florida Highway Patrol were spotted on the scene after the crash as well as accident reconstruction experts. Traffic was stopped on West Boynton Beach Boulevard by the wreckage of the two vehicles that occupied a major segment of the intersection. Authorities say the accident occurred when the driver of a white Citroen Sedan was headed eastbound on West Boynton Beach Boulevard. He collided with a Toyota Matrix hatchback that was traveling in the northbound lane of South Military Trail. The driver of the Citroen, a 44-year old man from Homestead, had his arm trapped the door frame of his vehicle. Firemen on the scene had to use the jaws-of-life to pry him out of the car. He sustained multiple fractures and may have sustained permanent damage to his left arm. He was transported to a nearby hospital. The driver of the Toyota Matrix also sustained severe injuries in the crash. He was placed in an ambulance by paramedics on the scene. A spokesperson for the Florida Highway Patrol said no one else was injured in the crash and the cause of the crash remains under investigation.